Owners, Doris and Charley Elofer have been in business for more than 25 years and are committed to your complete satisfaction. They love what they do and it shows! JB Designs offers creative design solutions for your windows beginning with a complementary in home consultation. We are an award winning, full service interior design firm, committed to providing our clients with high quality products and outstanding service. Bilingual services in English & Spanish available. Your Family Owned & Operated Window Treatment Company for 67 Years! We don’t just sell products; we enhance our customers’ quality of life by making their environment more beautiful and efficient. A fine window treatments and interiors company, Vitalia, Inc. serves professionals in the greater Philadelphia area with integrity and kindness. We are the only firm that guarantees your 100% satisfaction on custom made products. Vitalia, Inc. has serviced interior designers, decorators, and architects for over 10 years. We understand that your scope of work covers floor to ceiling and everything in between. That’s why we are proud to be experts in our narrow field and provide this professional expertise for you, when you need it. Our specific line of services include: 1. Meet with you at the client’s site for initial survey OR we can initially meet in your office, our office, or anywhere else to understand the scope of the project 3. You can also send us plans and other documents for initial survey 4. At the site, we take detailed measurements using an iPad 5. Offer any and all advice in terms of engineering of the treatment, explanation of features and benefits, review of samples and pictures 6. Provide a detailed estimate, outlining costs and terms 7. Once the order is finalized, you can safely send fabrics, trims, and/or hardware directly to us for inspection and verification 8. Fabricate all soft furnishings to predetermined specifications 9. Deliver and install all treatments About Vitalia Originally from Ukraine, Vitalia (Vita for short) received her BS from Albright College in Marketing & Fashion and her MBA from LaSalle University. She spent ten years in “corporate America”, advancing through the ranks to Director of Marketing for Lenox China. After a lot of consideration, she decided to leave the comforts of the corporate job in pursuit of happiness and achievement as an Entrepreneur. 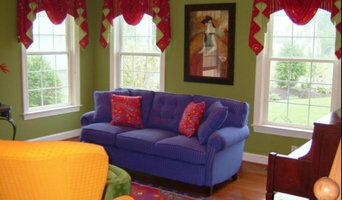 In 2006 Vita started her window treatment business. Professionalism, integrity, and excellence are the backbone of her business philosophy. This is evident in every stitch, every hem, and every installation, which she personally attends. Vita’s goal is to make her clients’ lives easier, knowing that at least the window coverings part of the project is under control and the homeowner is taken care of. Vita lives in Richboro, Bucks County with her husband and life-long friend Vitali, their son Anton and daughter Anna. When not tending to a curtain emergency, Vita enjoys spending time with family and friends. You can also spot her on a ballroom floor dancing cha-cha or a Viennese Waltz. *Hunter Douglas Authorized Dealer* Family owned & operated for more than 67 years, M.C. Weeks, Inc. 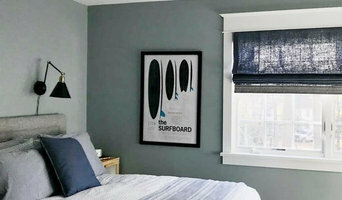 Window Fashions has assisted generations of local homeowners and businesses with the highest quality of products and services for their window fashions projects. We are proud to be a Hunter Douglas Centurion Gallery Showroom, showcasing the entire brand line here in our store, and providing the full custom concierge service to our customers. In addition, we carry a full selection of Custom Draperies, Top Treatments, Furniture, and Bedding from top quality workrooms in our own Custom Fabric Showroom. Customers are always encouraged to visit our showrooms first, located in the beautiful historic town of Trappe, PA, where you can see, touch, feel, and most importantly, operate, all of our custom products on real windows just as they will work in your home. 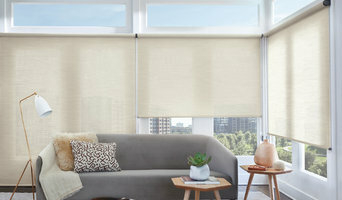 We at Budget Blinds of Quakertown serving Center Valley, Coopersburg, Hellertown, Perkasie, Pipersville, Upper Bucks County and surrounding communities have proudly served the local community by offering high quality and stylish window coverings for any occasion. Our goal is simple: to provide you with the best products and services in order to enrich your home environment. Our lavish selection of window treatments includes shutters, blinds, draperies, shades and even window film. Regardless of the window’s size or shape, you can rest assured Budget Blinds will have a customized window coverings solution ready for you. Call us today to schedule your free in-home consultation. We’ll bring you the highest quality and most fashionable window coverings in Center Valley, Coopersburg, Upper Bucks County and surrounding communities. Looking forward to helping you beautify your home! 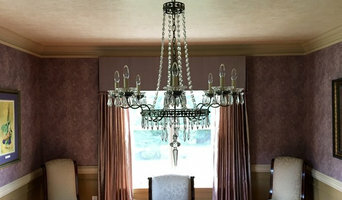 Shade Tree Interiors provides Custom Window Treatments, Interior Design Services and Home Décor & Accessories. Visit our Showroom or call for an in-home consultation. We feature computerized design renderings to illustrate our vision for your home. We offer many manufacturers and offer design solutions to fit every style and budget. You'll love our customer service and attention to detail.